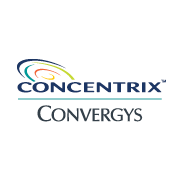 Concentrix works globally with the biggest names in technology, retail, travel and more. We are recruiting now on behalf of one of our clients, a leading technology brand for Welsh & Irish speakers for a unique role in mapping. The GIS Postproduction Language & Country Editor plays an integral part in the success of our Client’s Maps service and is responsible for providing an exceptional experience that ensures the success of everyone on the team and the customer experience. Postproduction is responsible for content analysis and additions, validation, cleansing, collection and reporting. Analyse and validate data content and assemble new content from various sources, including databases, files/ spreadsheets, and websites. Respond to data inquiries from various groups within an organisation. Create and publish regularly scheduled and/or ad hoc reports as needed. •	Fluent in English & high level of Irish. and correcting addressing source data. •	Working with large public/commercial datasets would be a plus. •	1+ years of experience in a similar role is preferred. •	Prior experience in Maps data curation is desirable. •	Provide feedback on process and tools. •	Collect ground truth data to allow for analysis. •	Participate in special projects and pilots. •	Bright, modern, exciting place to work. •	Onsite gym, yoga room, games area and café. •	28 days annual leave. •	Annual Reward & Recognition Ceremony.